We've just passed the 66th anniversary of the launch of Canada's shortwave service. 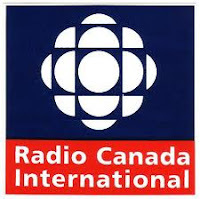 Radio Canada International first started broadcasting on February 25th, 1945. Originally, it was known as the CBC International Service or “Voice of Canada“. The service was launched as the Second World War was drawing to a close. In the beginning, it was meant to keep Canadian military personnel in touch with Canada. After the war ended, the mandate would become focused on spreading news, information and entertainment from and about Canada throughout the world. This was done in many languages. Like most western broadcasters, RCI would pump their content into the Soviet bloc during the Cold War. What would become RCI also broadcast events from Expo '67 to the rest of the world. Of course, shortwave listening was more widespread in western countries in those days than it is now. The service is based in Montreal, which makes it about the only branch of the CBC aside from Radio Canada that is based here. It has faced a number of budget cuts over the years, as radio enthusiasts are probably well aware. It's not unique to Canada though, as we have recently seen with the announcement coming from the BBC. Budget cuts over the years have resulted in cutting back many foreign language broadcasts. RCI currently broadcasts in 7 languages: Spanish, Russian, Mandarin, Arabic and Portuguese. RCI’s only transmitter is located in Sackville New Brunswick. The service can also be heard on satellite and of course online. What does the future hold in store for RCI and other shortwave services? Hard to say, but these broadcasts are favourite targets for budget cuts, as mentioned above. That will probably remain the case for the foreseeable future. New media is seen as a better way to deliver content to far away places. However, realistic access to digital technology is still not within reach of a high percentage of the world's population.